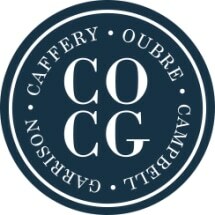 Caffery, Oubre, Campbell & Garrison and its predecessor firms have been in existence for over 50 years. We presently have four attorneys who engage in insurance defense and general casualty litigation, admiralty and maritime personal injury litigation, oil and gas litigation, commercial litigation, longshoreman and harbor workers compensation defense and general corporate representation. Our offices are located at 2109 W. Main Street, Suite 200, New Iberia, Louisiana, and 301 E. Kaliste Saloom Road, Suite 301, Lafayette, Louisiana. The members of our firm practice regularly before the state and federal courts throughout the southern half of Louisiana. The majority of our litigation is concentrated in the 15th and 16th Judicial District Courts (Lafayette, Vermilion, Acadian, Iberia, St. Mary and St. Martin Parishes) and in federal courts of the Western District of Louisiana in Lafayette and Lake Charles. We also have a substantial practice in other judicial districts. For certain of our clients we handle litigation in areas as far west as Lake Charles and as far east as New Orleans. We are proud of our record of service over the last 50 years. Two of the last four federal district court judges appointed in the Lafayette Division of the Western District of Louisiana have come from our firm. Both of these judges, Judge John M. Duhe and Judge W. Eugene Davis, now sit on the United States Court of Appeals for the Fifth Circuit in New Orleans. Most recently, our former partner, David R. Dugas, was appointed U.S. Attorney for the Middle District of Louisiana. Our firm is rated "AV" by the Martindale-Hubbell Law Directory. Our firm's listing can be found in Martindale - Hubbell Law Directory, Best's Directory of Recommended Insurance Attorneys, and in Hine's Insurance Counsel. Additional reference are available upon request.